Always simplistic and elegant, wreaths and rings have many common symbolisms: strength, eternity and the never ending love between a couple. 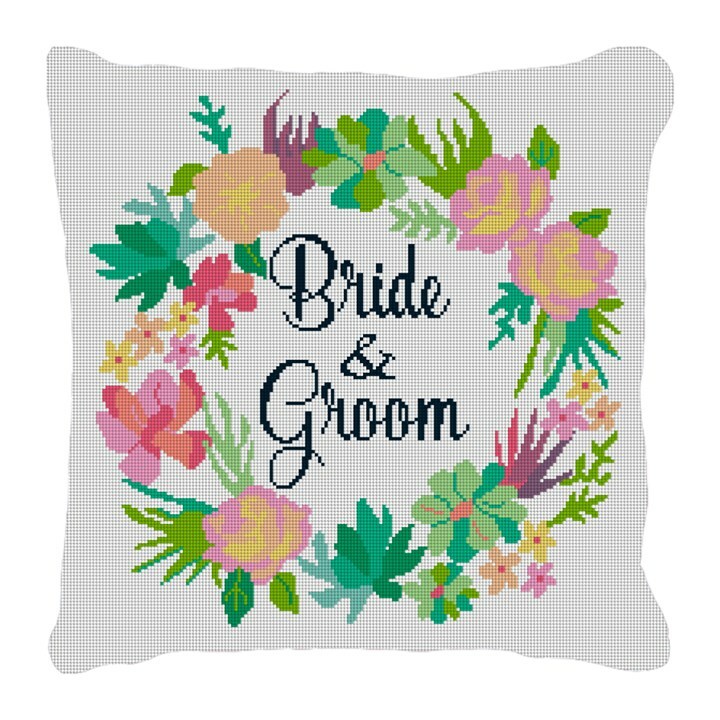 We have designed our Floral Wreath Wedding needlepoint pillow canvas to incorporate all of these symbols, giving a refreshing touch for the bride and grooms new home. A beautiful gift to stitch for the bride and groom in your family!